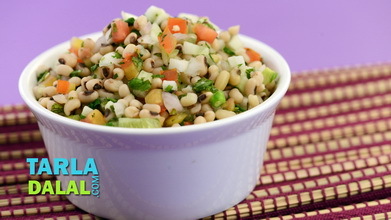 This iron-rich salad features crisp lettuce and juicy cucumber combined with mealy kidney beans and sumptuous chick peas, perked up with mint and coriander leaves, spring onion whites, etc. 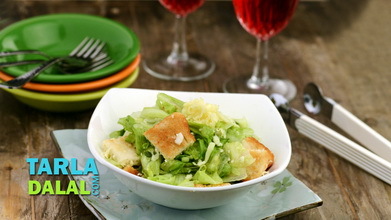 A dash of lemon juice boosts the vitamin C content, which in turn ensures maximum absorption of iron. 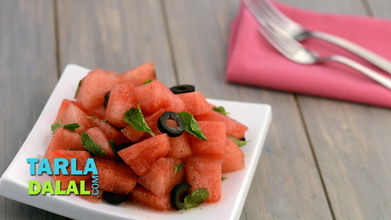 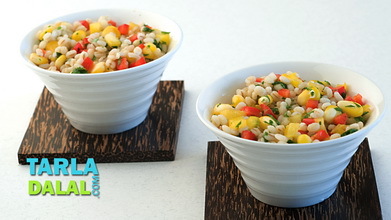 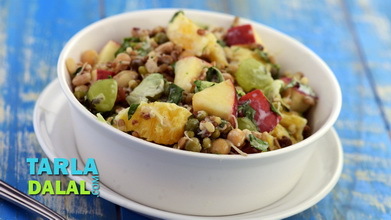 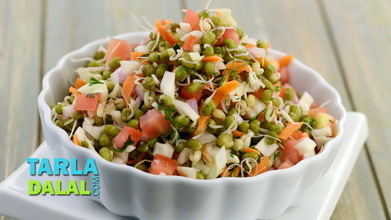 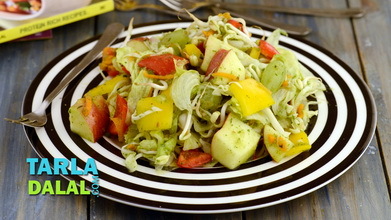 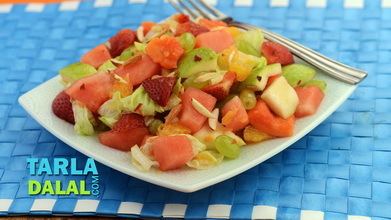 Serve this salad immediately not only to retain the fresh textures, but also to avoid loss of vitamin C.